In this case there was excessive gum when the patient smiled and old caps made of very opaque materials that were too small and/or square. 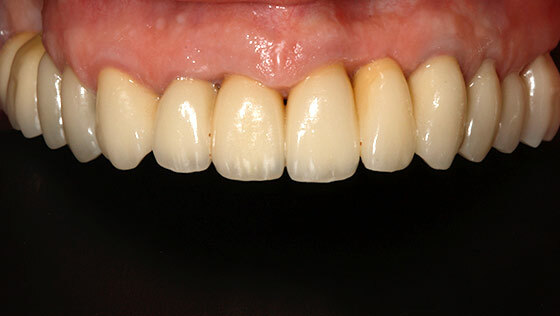 The first stage of the treatment was a crown-lengthening procedure, repositioning the gum further from the crown and thus achieving a lower amount of gum visible when smiling. The surgical procedure was described above in ‘Case M’. 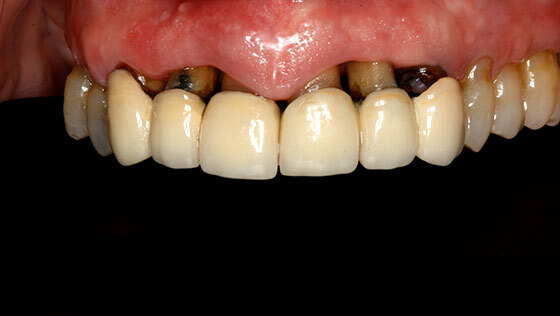 The patient’s caps were replaced by provisional crowns until the gums were fully healed. Then they were replaced by the final crowns, designing better width and height proportions for her teeth. 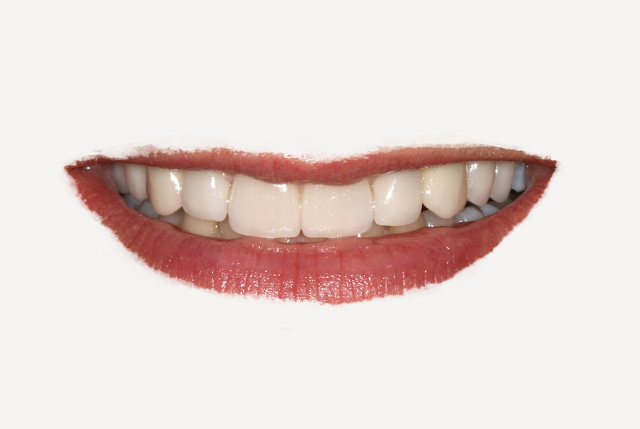 Our teeth’s proportions and the amount of gum showing when smiling are two essential factors in achieving a balanced, harmonious smile. 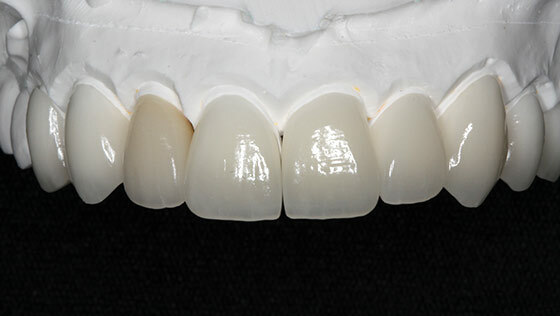 The superiority of modern dental materials (crowns with no metal) gives a more natural result. 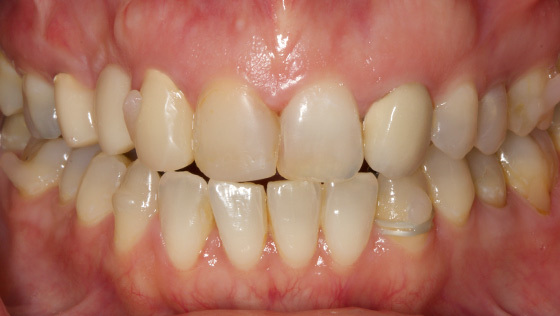 This case is very similar to the previous one (Case U) with the added problem that the excess gums showing when smiling was very uneven between the right and left side of the mouth. 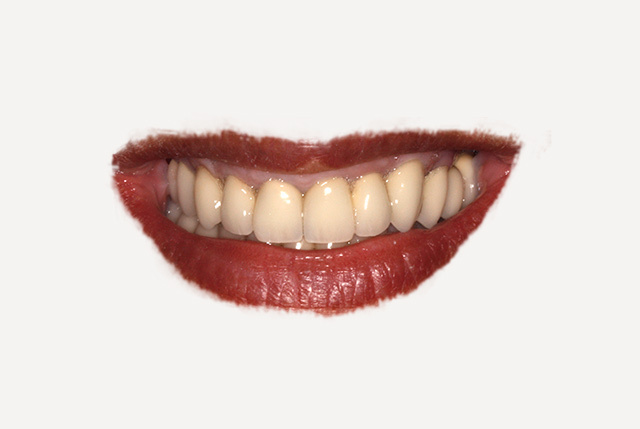 The same problem was also seen in the teeth of the lower arch, which were not usually seen when smiling. This indicates that there was also an uneven bite. 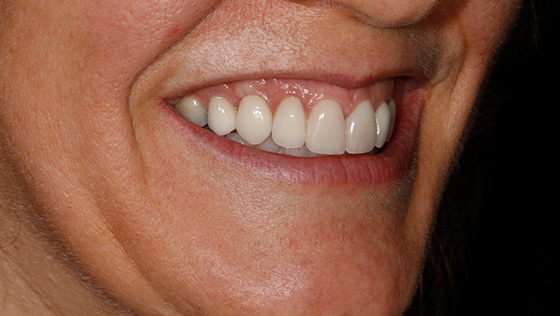 In addition to carrying out the surgical procedure involving crown lengthening and replacing the old crowns with other more proportionate ones in both the upper and lower jaws, this case required appropriate distribution and compensation for the bite after the rehabilitation in the mouth. Our teeth’s proportions and the amount of gum showing when smiling are two essential factors in achieving a balanced, harmonious smile. 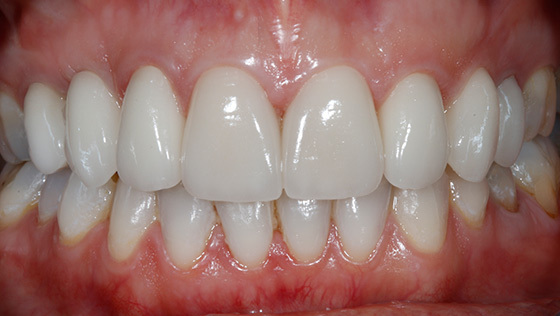 This case required a lot of compensation and correction for the bite, improving the appearance and functionality for the patient. After the periodontal disease or “pyorrhea” has been treated (disinfection phase), aesthetic problems tend to continue, such as: receding gums, bone loss, exposed roots and gaps in teeth. These after-effects are dealt with in a later stage of the treatment (surgical and rehabilitation stage), when the gums are healthy. 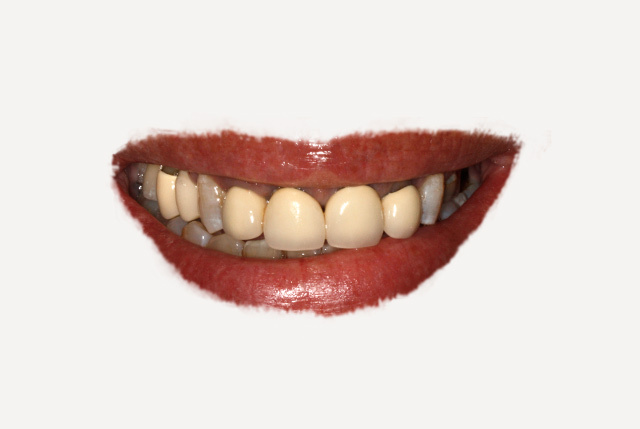 As for the front teeth, work was done to make the gum uniform and give it a wavy, natural look by using periodontal microsurgery techniques: coronary lengthening and gingival grafts. The new teeth, which are longer and more slender, allow the roots of the skinny teeth to be hidden, which were so unsightly when smiling. 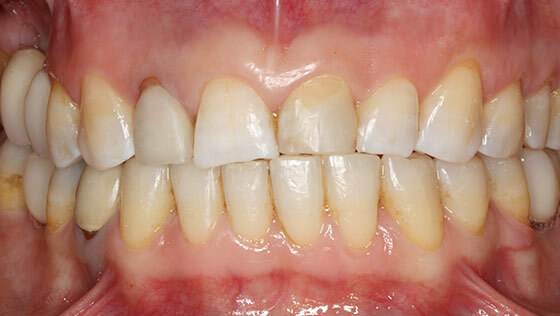 The lost molars were replaced with the help of implants and crowns on implants. In this case, three specialisations had to be combined to give adequate chewing ability and a natural look. If certain teeth fail to erupt at the corresponding age, then other teeth end up relatively displaced from their supposed location or else the appearance of neighbouring teeth is delayed. The treatment usually chosen is to bring the canines into their correct position with a combination of surgery and orthodontics. In adulthood, there may be limitations to using orthodontics to pull the canines over due to the palatine bone (roof of the mouth): 1) due to its very unhelpful position or 2) due to a lack of periodontal ligament or ankylosis (bone fusion, rigid palate) that prevent them from being moved. After checking that it is not possible to move the canines, we go on to the extract the teeth growing in the palate, then we place dental implants to relocate them and distribute the gaps with orthodontics and porcelain veneers. 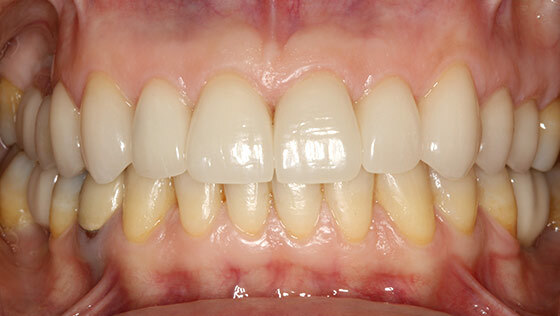 By combining these techniques, we are able to correct and harmonise the small, separated teeth in the upper arch. Treatment carried out in collaboration with the orthodontist Dr. Dory Merino. 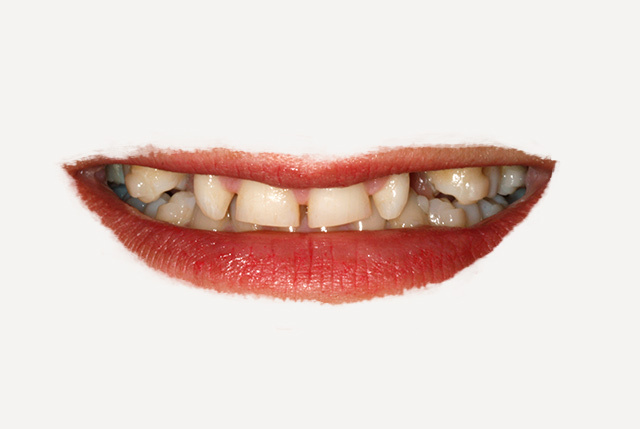 A smile is recovered, as always in both functional and aesthetic terms. A mismatched bite between the upper and lower teeth can cause gradual tooth wear. 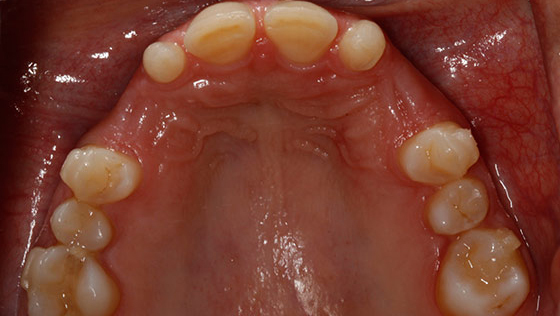 When this affects the front teeth we say the teeth are “edge to edge”. 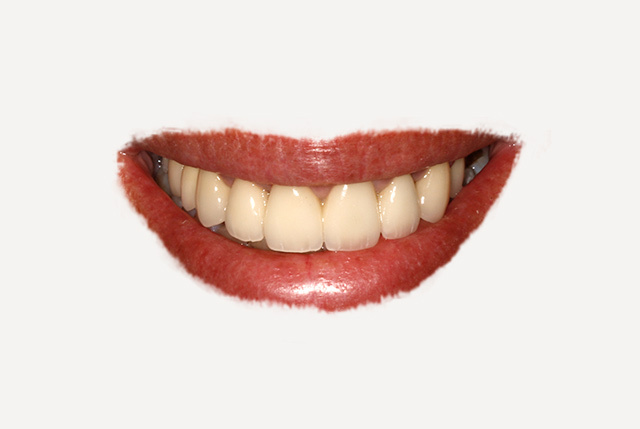 In a healthy bite (normal occlusion), the upper teeth close down in front of the lower teeth, like the lid on a box. 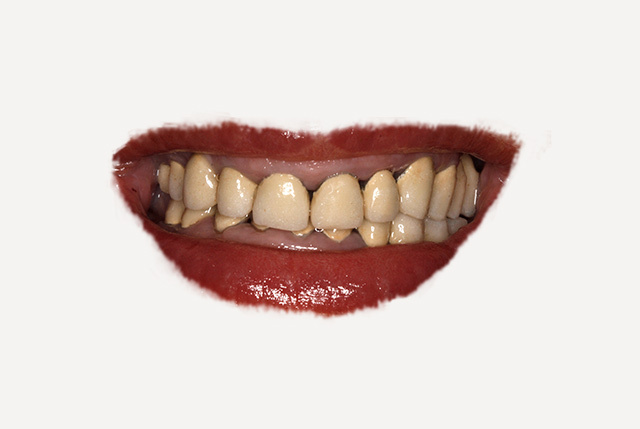 This dental deterioration is perceived as short teeth, or what is technically known as a reverse smile. 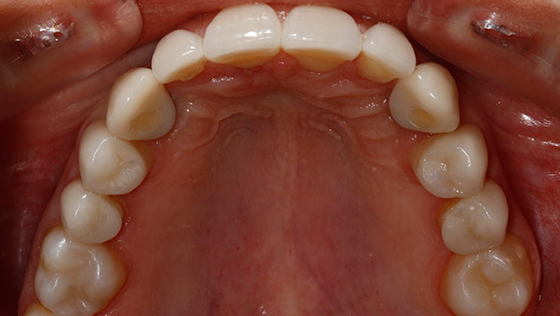 In these cases, orthodontics plays an important role in correcting this mismatch between the dental arches. 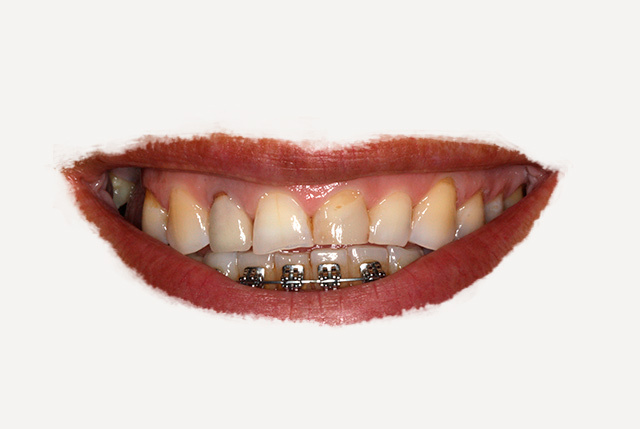 The patient received orthodontic treatment with metal braces in both arches for one year. Afterwards, the treatment consisted of restoring the worn teeth by giving them back their original size with the help of porcelain veneers. Most wear and tear on the front teeth is caused by the teeth in the upper and lower jaws being in an unsuitable position and mismatched in terms of bite. 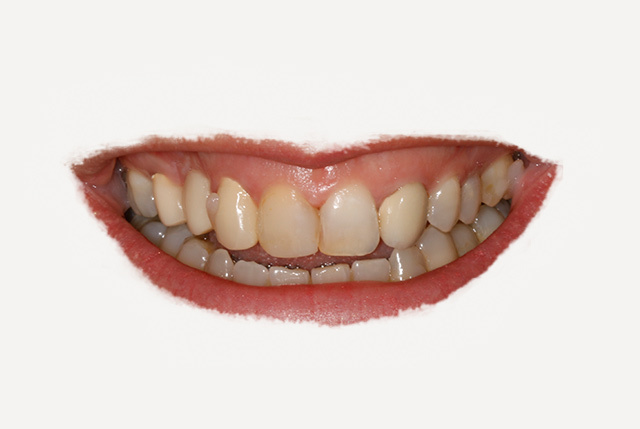 Once the bite is corrected with the help of orthodontics (any technique), the teeth can be restored and the smile rejuvenated. Generally, if we lose a tooth and it takes a long time for it to be replaced, there is gradual atrophy of the bone where the old root used to sit, giving the area a sunken appearance. Bone remodelling can make it difficult to place dental implants, as well as the aesthetic unsightliness. Moreover, while the tooth is missing, its antagonist (opposite) and adjacent teeth usually shift towards the gap left by the extraction. 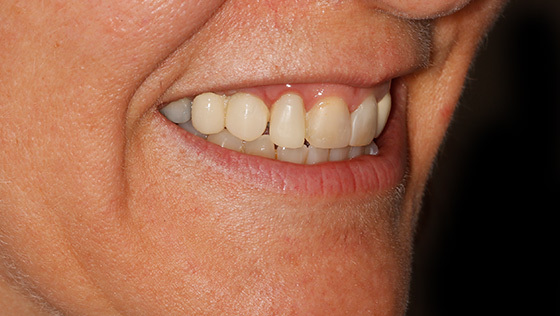 In this case, the patient had a dental bridge or false tooth for years that had replaced the missing upper right canine. She was concerned about the sunken look of this area and the asymmetry of her mouth, which made her self-conscious about smiling. We suggested simple corrective outpatient surgery involving bone regeneration and a gum graft to improve the volume of the area and make it possible to insert an implant. 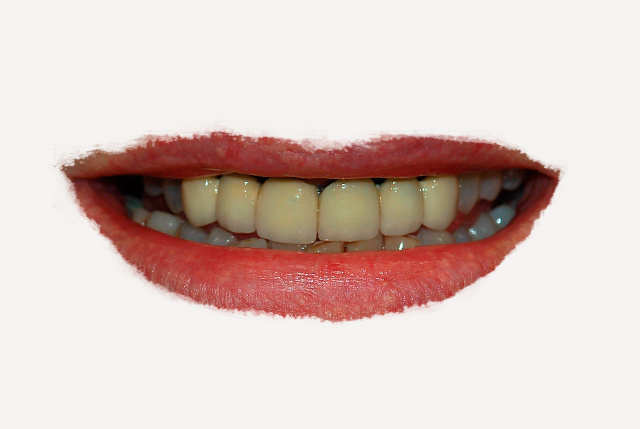 The teeth were aligned simultaneously by orthodontics (the lingual orthodontic technique). 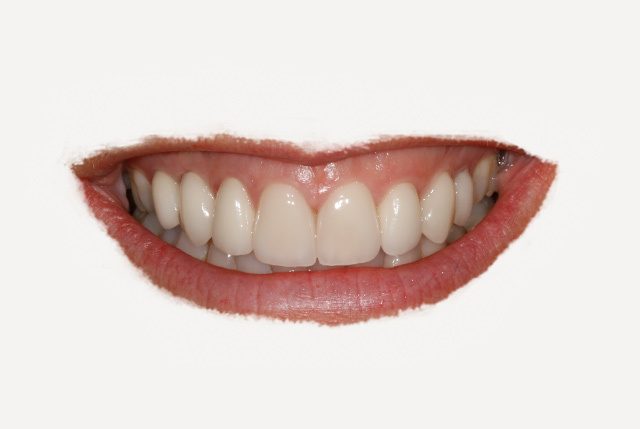 Once the orthodontics was finished, we carried out a digital study of the smile and proceeded to put the porcelain veneers in place. 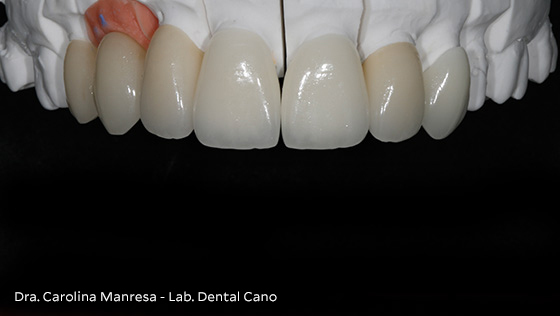 This treatment was carried in collaboration with the orthodontist Dr. Joan Pau Marcó. A totally natural look was achieved for the gums and the alveolar bone (tooth sockets) contour around the missing tooth by using bone regeneration surgery, a gum implant and finally a dental implant. 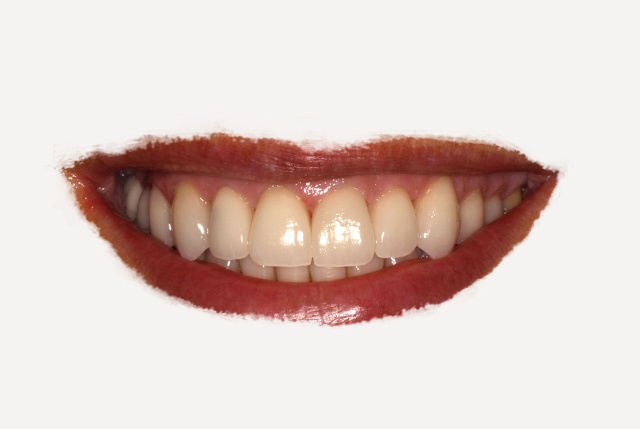 Orthodontics and veneers give an extremely satisfactory result in terms of alignment and aesthetics. 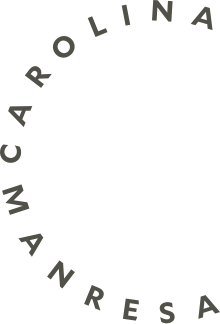 We would like to thank the patients treated by Dr. Carolina Manresa for kindly allowing us to use the images published in this Dentistry Alphabet, thereby helping to improve knowledge of this clinical practice. In accordance with the provisions of Organic Law 15/1999 of 13th December on the Protection of Personal Data.